Police at the door of Òmnium Cultural J. LOSADA. 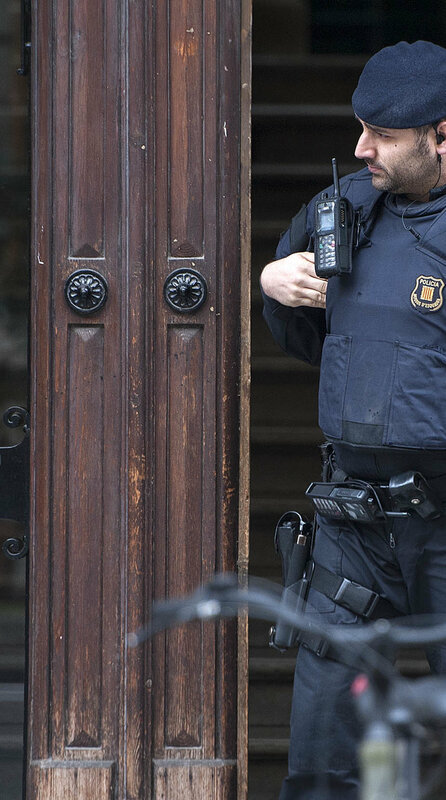 Òmnium Cultural reported yesterday that the Civil Guard search at its headquarters last March (under orders from the judge investigating the organizers of the 2017 Catalan referendum) sought to “criminalize the organization” . According to Òmnium’s statement the judge authorized the recovery of all confiscated material including two years’ accounts, three mobile phones, 10GB of documents and 320 GB of images.